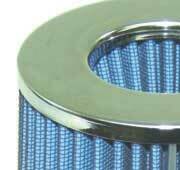 The famous replacement mass air intake filters should not be overlooked! Media developed for the military unparalleled by the market! 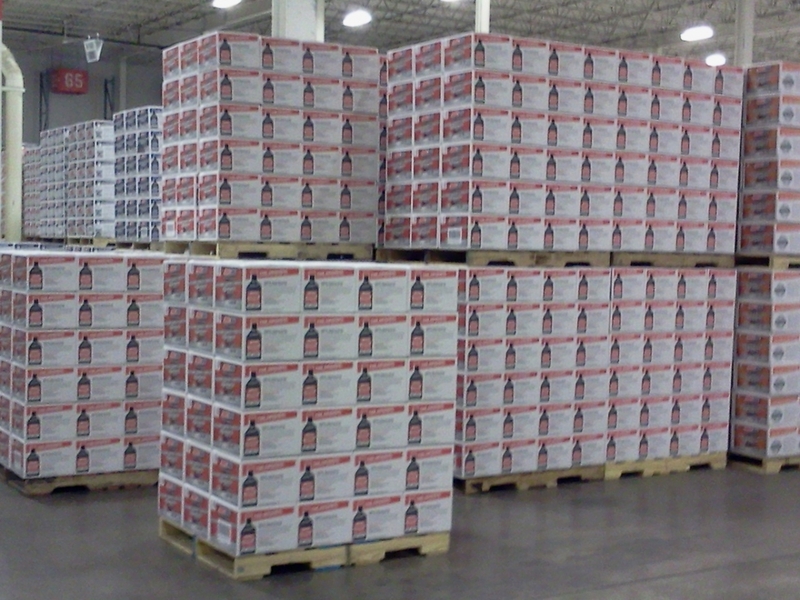 More Cold Air = More Horsepower AMSOIL Air Filters Flow! The basic purpose of the air intake system and these cold air intake filters is to bring cool air from outside the engine compartment into the engine. The cooler air is denser than the air found within the hot engine compartment. The denser charge contains more oxygen than warmer air, providing better combustion through a more effective air/fuel mixture. 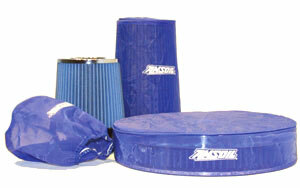 AMSOIL Ea Air Induction Filters fit most of the popular intake systems available. They provide improved cold air intake and a level of engine protection only an Ea Filter can provide. 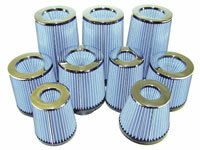 AMSOIL is currently offering nine Ea Air Induction Filters with varying lengths and widths. 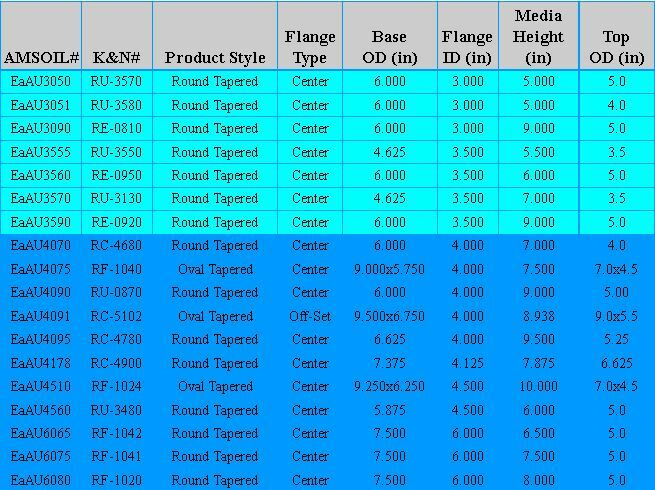 These filters have flange IDs of 3″, 3.5″, 4″, 4.125?, 4.5? and 6″. 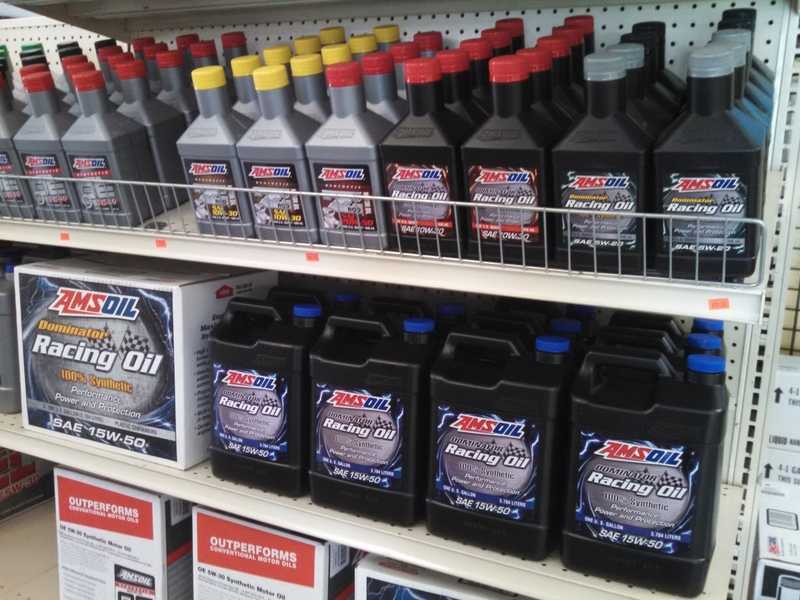 Since these filters offer a universal fit, AMSOIL provides the dimension sheet below that customers can use to determine the proper filter for their applications. 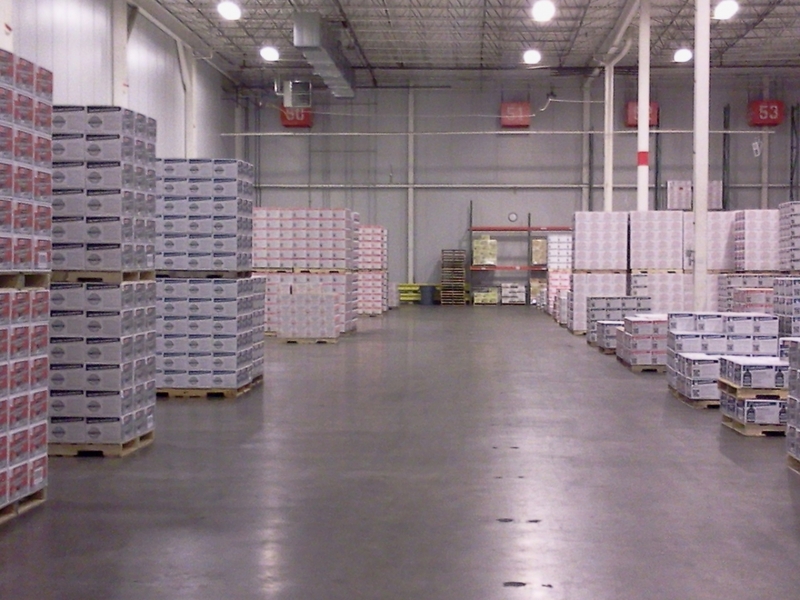 Customers can easily match the best filter for their application. 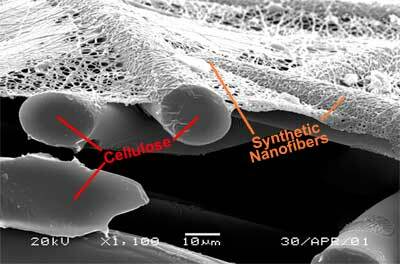 Comparing typical filter media to ours. 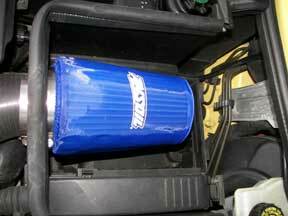 The AMSOIL Ea Cold Air intake Filter is cleanable and long lasting. 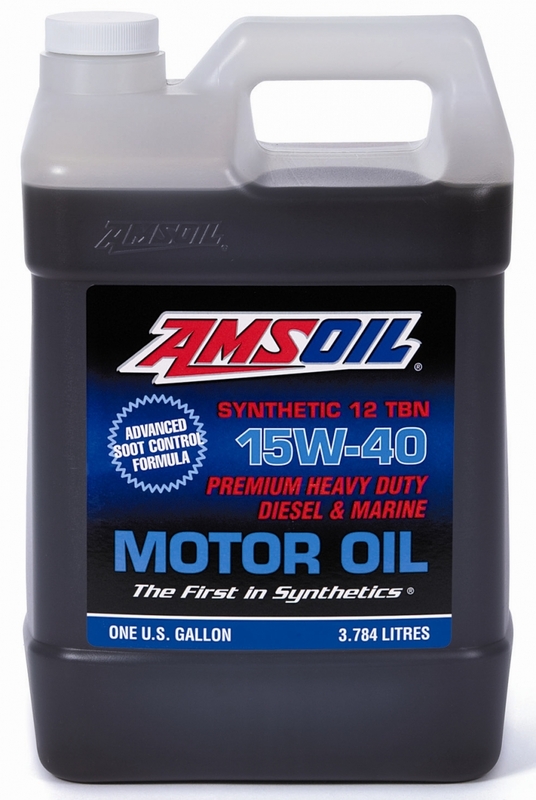 AMSOIL recommends cleaning the Ea Air Induction Filter when designated by the restriction gauge if the vehicle is so equipped, or according to operating conditions. If it is used in extremely dusty environments or in a performance vehicle, more frequent cleanings may be required. Just clean yearly between 15,000 or 25,000 mile intervals.